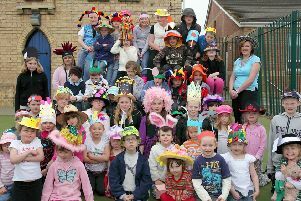 Emma Wilcox from Lincolnshire Music Services is pictured with Year Five and Six pupils from Hogsthorpe Primary School 10 years ago. A brass band from Hogsthorpe Primary School performed for the community at Hogsthorpe Village Hall 10 years ago. Year Five and Six pupils had been learning how to play the trombone, trumpet and French horn during music lessons with the help of Emma Wilcox from Lincolnshire Music Services. Parents and relatives were invited to the hall for the concert and further concerts were planned for the summer.